Well-known North American distributor Chase International made the difficult strategic decision to exit the chocolate confection category in USTR this year. After a very successful 17 years, Chase Donaldson decided to place more focus on his company’s growing spirits and wine businesses. 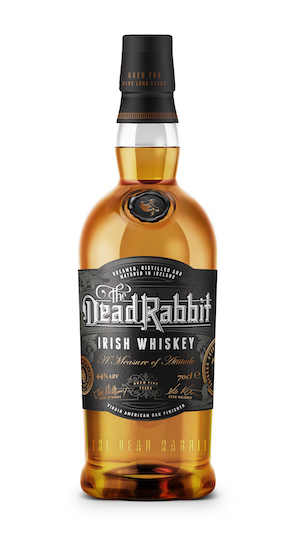 The company has spent the past two years quietly repositioning its strategy and portfolio, focusing its efforts behind the strong growth areas of American Bourbons and Ryes, Irish Whiskeys, aged Scotches and small craft gins and rums, he says. “We sincerely want to thank our dedicated confection suppliers – Hawaiian Host, Hershey’s and Nestle’s– for their many years of friendship, partnership and support in helping us to build their world-class brands in U.S. Travel Retail, and wish them continued success in 2019 and beyond,” says Donaldson. The company has paid particular focus on creating and implementing specialty drinks and whiskey flight programs on the cruise lines, and activating dedicated consumer tasting and promotional programs at retail in both Travel Retail and on the cruise lines, Donaldson tells TMI. “Our Caribbean business has also been in a rebuilding mode with our local market partner distributors, following the devastating hurricanes in 2017. Fortunately, the popular category growth trends in the U.S. and cruise lines mirror those now being experienced in the Caribbean markets. Our portfolio is properly positioned to take advantage of those growth trends for when those Caribbean markets eventually return to normal,” says Donaldson. Chase International had a great year with Evan Williams, Elijah Craig and Larceny Specialty Bourbons and Rittenhouse Rye from Heaven Hill Brands. 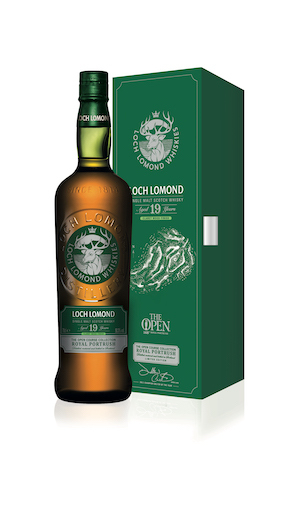 Loch Lomond, the official sponsor of the British Open, continues to bring innovation and the highest quality of single malt scotches to Travel Retail, and will introduce the second offering of the Loch Lomond Limited Claret Jug Edition Series in Orlando. Of special interest, Loch Lomond’s Ultra-premium and limited edition – Littlemill 25YO Single Malt Scotch now being sold at DFA in JFK, retailing for around $3,000. Chase International is now representing the award-winning Original Gold Bar Whiskey from the Gold Bar Bottle Company. Following its successful introduction in 2016 and sales for the past two years with DFS, the Original Gold Bar Whiskey was recently listed with DFA in Miami. Gold Bar is introducing a liter size bottle, and the new 750 ml Black Gold Bar Bourbon. Gosling’s Black Seal Rum continues its double-digit growth in USTR and onboard the cruise lines in both retail and in the bars. New this year: Gosling’s Papa Seal Rum, a single barrel pot and column distilled rum aged for up to 15 years in once used Bourbon barrels in Bermuda. Hand-inscribed with the bottle number, barrel number and date, Papa Seal is highly allocated and will retail for around $200 for the 750ml. Chase will also introduce Plantation Rum’s Plantation’s new “Xaymaca Double aged Rum” from its new distillery in Jamaica. Plantation 20th Anniversary Rum from Maison Ferrand was named one of Impact’s “Hot Prospects” brands for 2018. 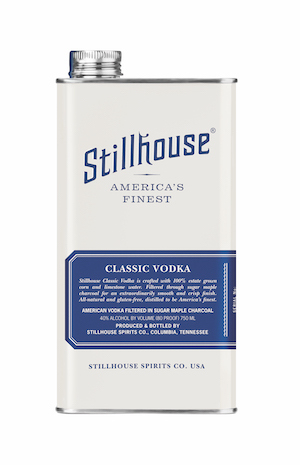 Stillhouse’s portfolio of spirits has also been performing well in travel retail. “The attractive and disruptive 100% stainless steel unbreakable packaging and high quality of Stillhouse’s American flavored Whiskies have caused this brand to far exceed our expectations, with listings and strong reorders in almost every major travel and cruise line retail outlet in the U.S., and in many major Caribbean markets,” says Donaldson. Stillhouse Black Bourbon, introduced last year, now represents over 40% of the brand volume. Stillhouse Black Bourbon and Apple Crisp are performing well with Starboard Cruise Services in the Carnival gift shops, and will expand to Royal Caribbean’s gift shops in Q2, he reports. 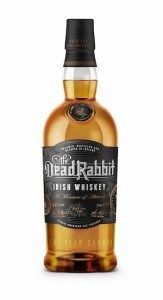 Quintessential Brands is introducing its new “Dead Rabbit Irish Whiskey” named after the famous bar in New York City made popular by “The Gangs of NY” movie, and its aged 5 years and above – The Dublin Liberties Irish Whiskies, from the grand opening of The Dublin Liberties Distillery. Quintessential Brands will also be featuring and introducing its super-premium Opihr, Bloom and Berkeley Gin brands at the show. Chase International gained new listings on Carolan’s Irish Cream from Heaven Hill with Ammex Detroit, Duty Free Americas and International Shoppes. Sake is a growing specialty category in USTR, and the Hiro Gold, Blue and Red Sake’s (Gold Retail $100.00 for 750ml) were listed with Ammex Detroit and 3Sixty in Dallas, and in the Caribbean in Grand Cayman and St. Maarten.